During the 19th century, technological advances and the spread of colonial rule led to an increase in global mobility – at least for members of the military and wealthy Europeans. 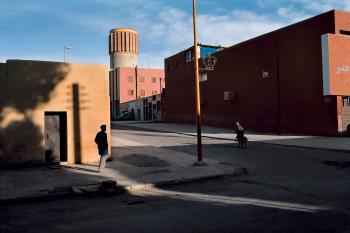 The result was a boom in travel photography, a story richly illustrated by a new exhibition at the Prahlad Bubbar gallery in London. 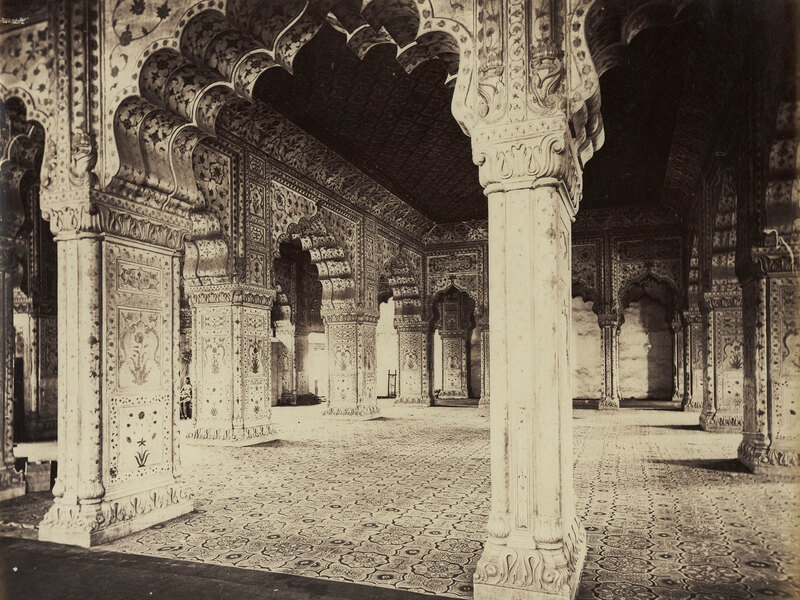 “Tripe Murray Bourne: Photographic Journeys in India 1855-1870” features the work of three early British photographers in India. 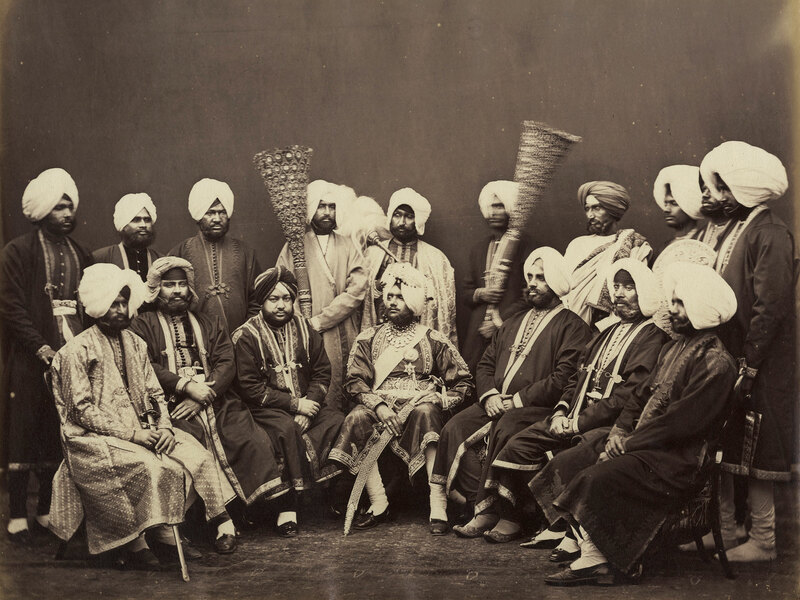 Yet while the photography market was flourishing, India was going through a period of great political unrest. The Indian Rebellion of 1857, which led to the dissolution of the East India Company and the institution of the British Raj, had spread across the north of the country and lasted for more than a year before it was suppressed by the British. 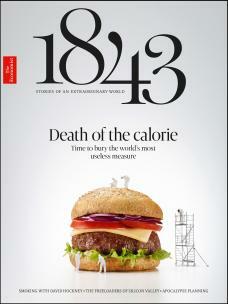 If anything, however, the rebellion heightened the public’s desire to see India through a viewfinder. Depictions of the sites of famous battles and sieges soon became wildly popular with Britons both in India and “back home”; they helped to gloss over the memory of this painful challenge to colonial authority, and encouraged new tourists to visit the sites and memorials. The eight photographs pictured here are intricately intertwined with this historical moment. 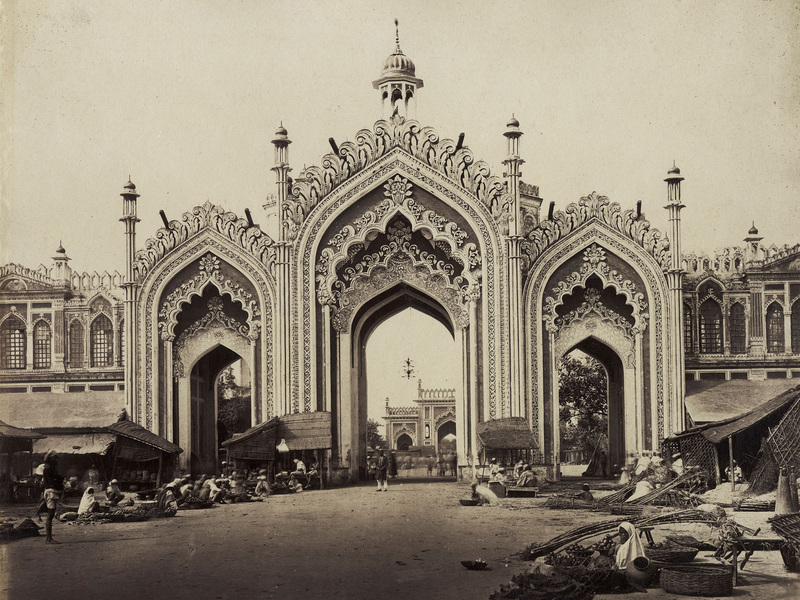 Samuel Bourne arrived in India six years after the violent events of 1857; he was determined to become a successful professional photographer after quitting his job as a bank clerk. 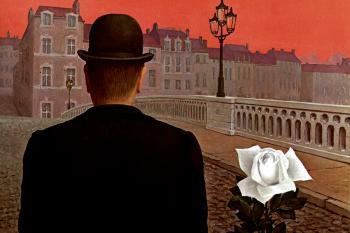 He was soon drawn to the already renowned sites of the rebellion. 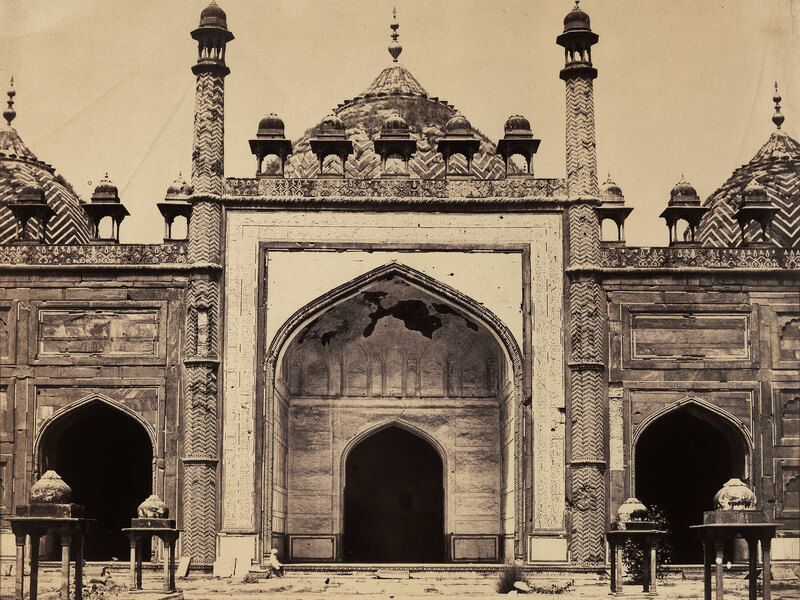 This photograph was taken at Lucknow, eight years after the siege there that was widely and luridly reported by the international press. Bourne’s photographs had value as propaganda, but they also reveal him to have been a skilful photographer genuinely enamoured of his subject. Interiors like this one are expertly composed and lit to bring out exquisite details and a gaping sense of space. 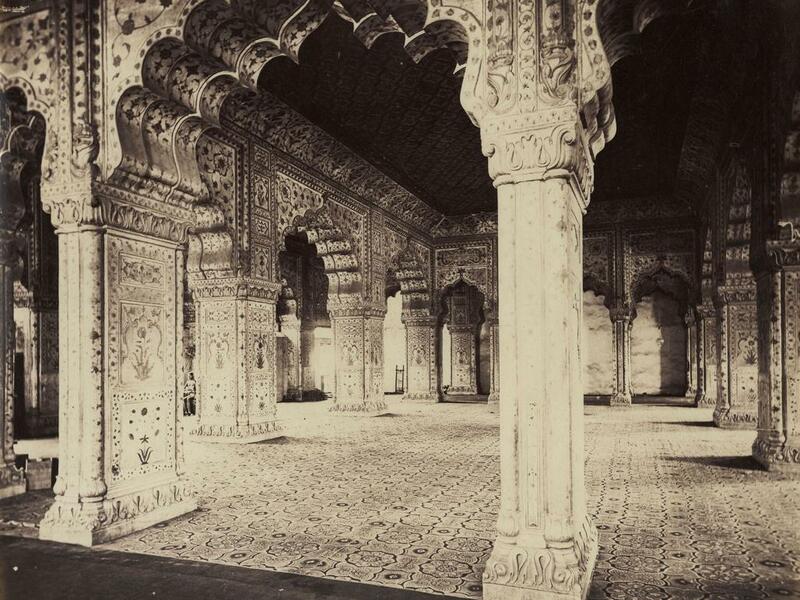 Dr John Murray, a civil surgeon, arrived in India in 1833, but it wasn’t until 1849 that he started experimenting with the early calotype photographic process and began methodically documenting the architecture of Agra, where he lived and worked. This image, of one of the largest mosques in India, is carefully framed to emphasise the stark, whitewashed panels. A close look reveals ghostly seated figures arranged in the foreground, which give a sense of the building’s daunting scale. 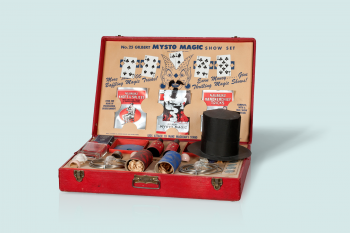 At the time there was no simple way of enlarging a photograph beyond the size of its negative. 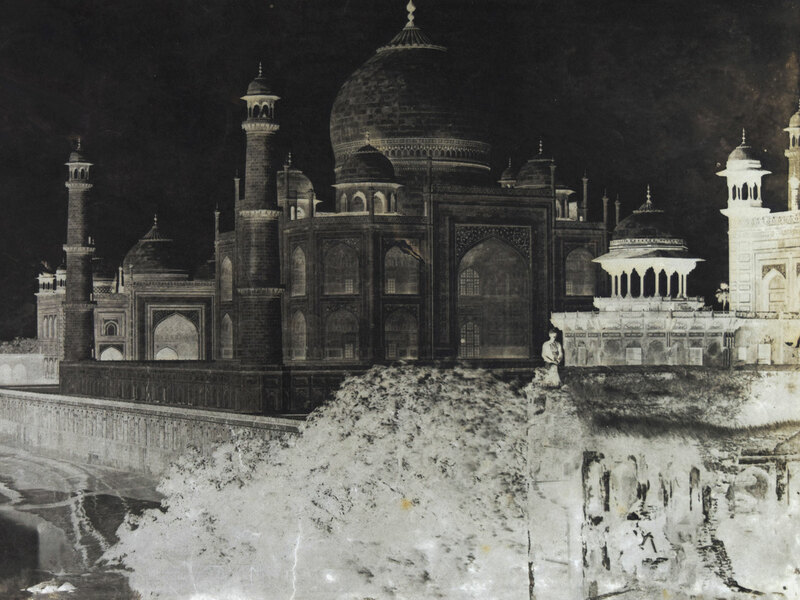 Murray had to work with huge and cumbersome cameras in order to make sure the negatives were as large and detailed as possible, resulting in striking images like this one, which was part of his elaborate study of the Taj Mahal. 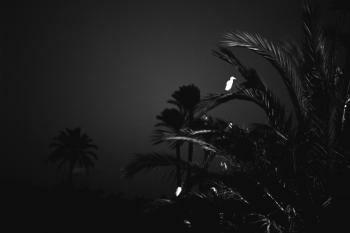 Shot in the wake of the uprising, it was funded by the colonial authorities. Captain Linnaeus Tripe is a relative unknown in the history of photography (“Only his name has been truly memorable,” observed one recent critic). 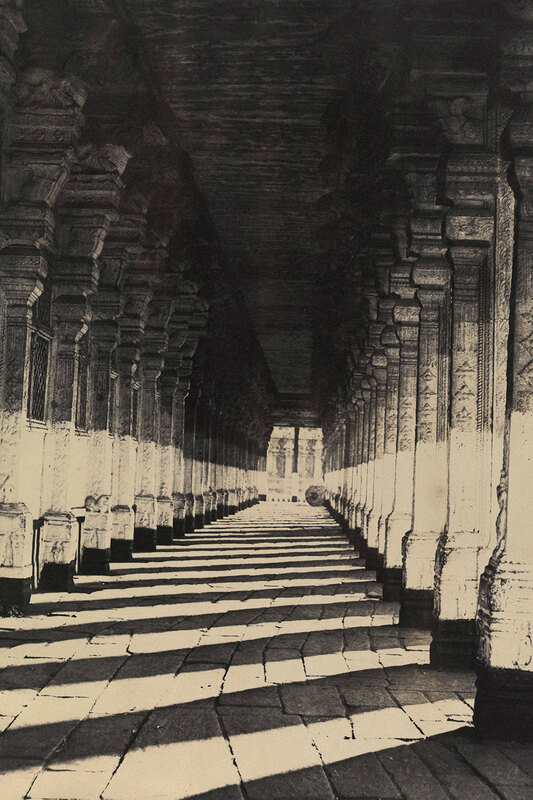 Despite Tripe’s military credentials, of the three photographers he was also, ironically, the least interested in the events of 1857, preferring instead to immerse himself in studies of south Indian and Burmese architecture, far from all the fighting. That is until the post-rebellion authorities stopped funding him; in light of the new cost-cutting regime, they thought his expensive cataloguing activities superfluous. 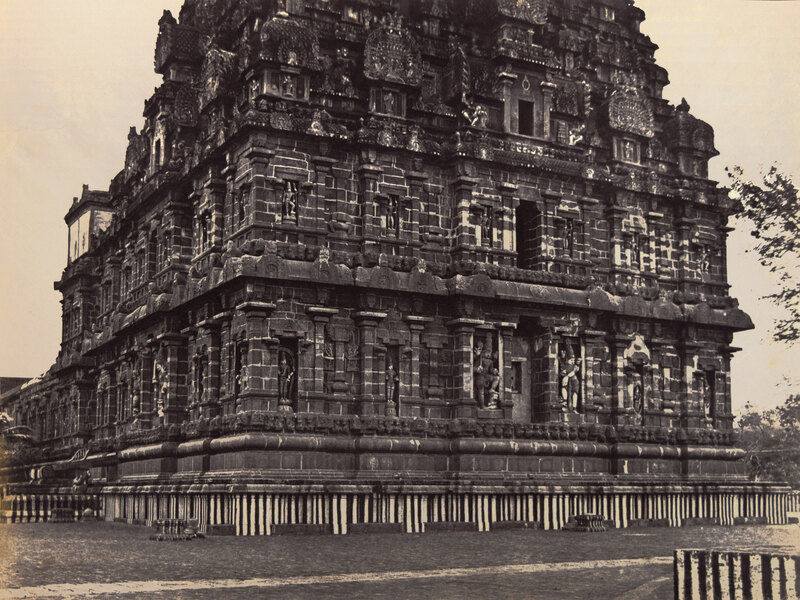 It is a shame Tripe was prevented from continuing his projects, as his images of south Indian pagodas, such as this one, are exceptional, boldy playing with framing and perspective. 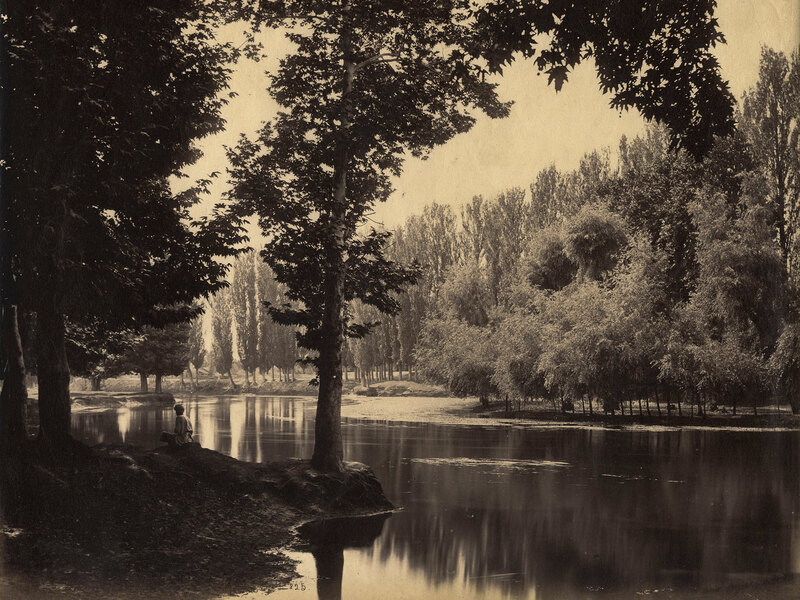 Though he had originally got into photography simply to make historical records of buildings and sculptures, towards the end of his career Tripe was seduced by the aesthetic possibilities of the medium, producing two final series of pure landscape “studies” in 1869 before his retirement. 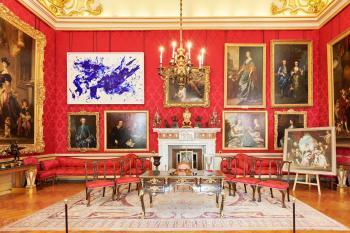 It was a refreshing change from the systematic architectural catalogues that had first made his name. Though architecture dominates this exhibition, there are also a number of excellent portraits, such as this final image of the Maharaja of Patiala, made by Bourne & Shepherd, the photographic studio that Bourne established in Calcutta. 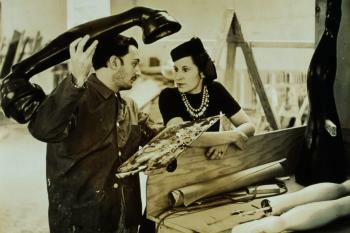 It continues to do business to this day, making it the world’s oldest working studio.